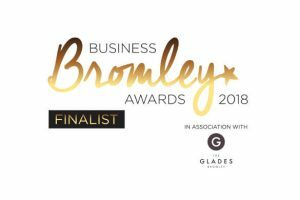 We are delighted to announce that we have been shortlisted as finalists for three categories of the Bromley Business Awards 2018. We’re so pleased to have made it to this stage and would like to congratulate all the wonderful local businesses who will be joining us at the awards final. At last year’s awards, we were named Bromley’s Best New Business. This year, we have the opportunity to be recognised as Best SME, Best Business for Customer Service, Employer of the Year – or perhaps all three! 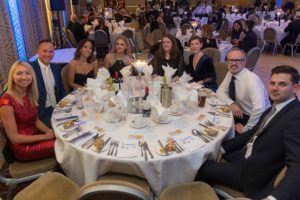 The Bromley Business Awards were set up in 2011 to recognise the work of local businesses, rewarding achievements and creating a sense of community. We are proud to have taken part two years in a row and are once again very much looking forward to the celebrations of the awards ceremony. Thank you to all our clients who have supported us in our work – you have said some lovely things about our business over the years, and no doubt all your glowing references and testimonials have helped us on our way to the finals. Congratulations once again to all the Bromley businesses who have made it through to the finals, and we will look forward to seeing you on the 30th November!